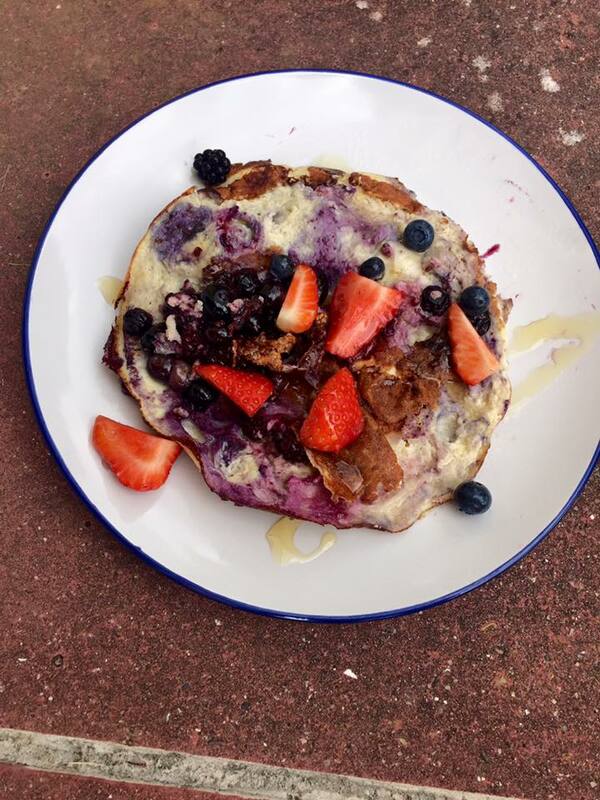 But who wouldn’t love a healthier alternative to pancakes which still tastes delicious? Now we may be on to something. 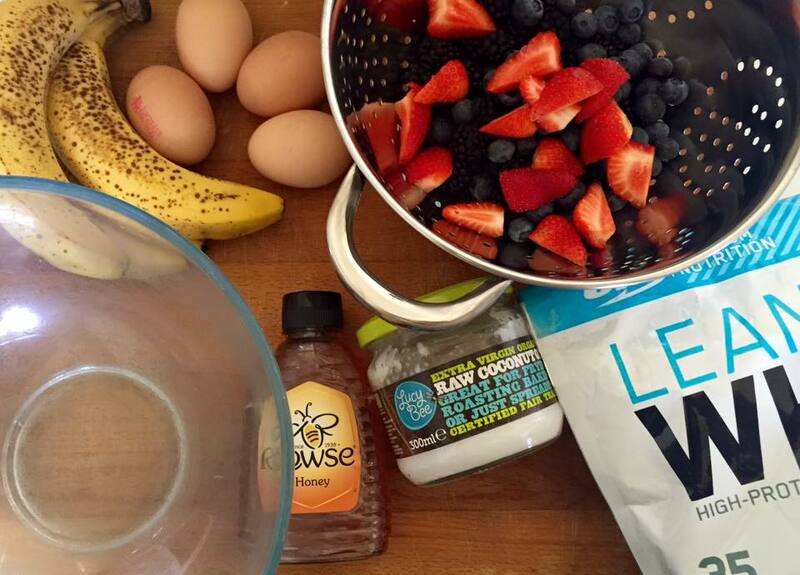 I’ve been following the lovely personal trainer, blogger and Youtuber Carly Rowena on various social media platforms for a long time now, and I was really happy to stumble across this simple protein pancake recipe on her instagram a few weeks ago. It’s so easy and delicious- I really wish I’d come up with it! But thankfully Carly posts gems like this quite often, so I’m sure it won’t be long before there’s another one of her recipes which I try to replicate at home. 1 scoop of protein powder. I used Vanilla Lean Whey Protein from Optimum Nutrition. Topping: fruit of your choice! I used blueberries, blackberries, strawberries and then drizzled a bit of honey over the top. 1. 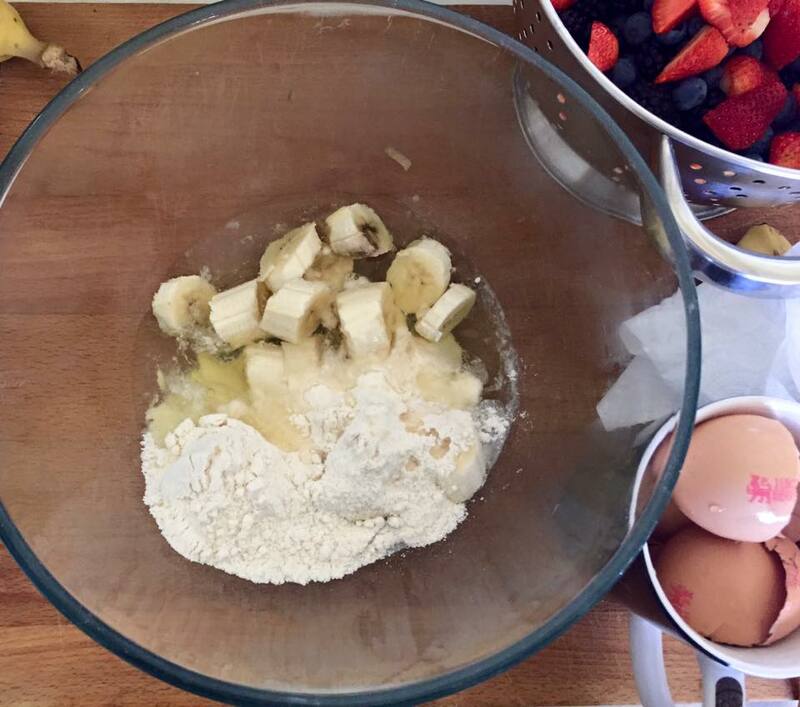 Slice banana and place in a mixing bowl. 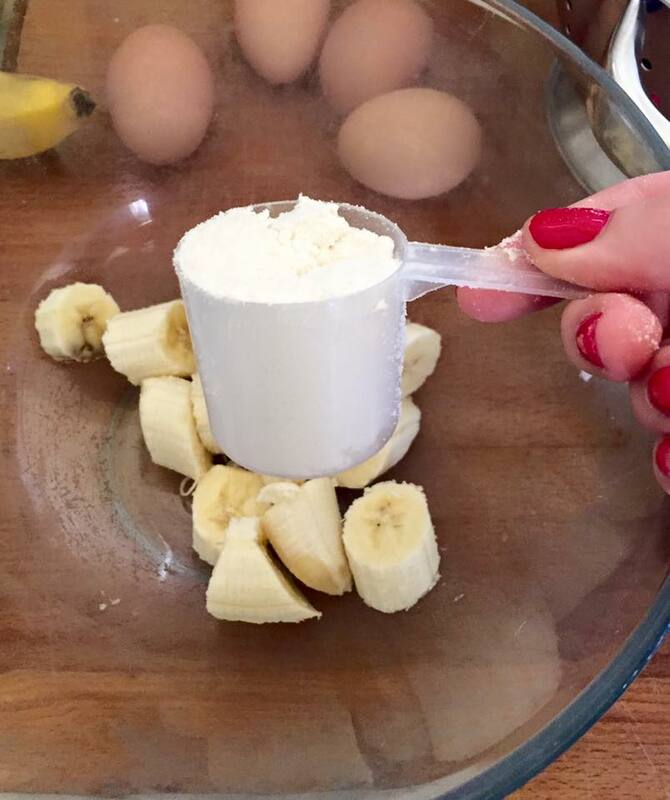 Add one scoop of protein powder and the two egg whites. 2. 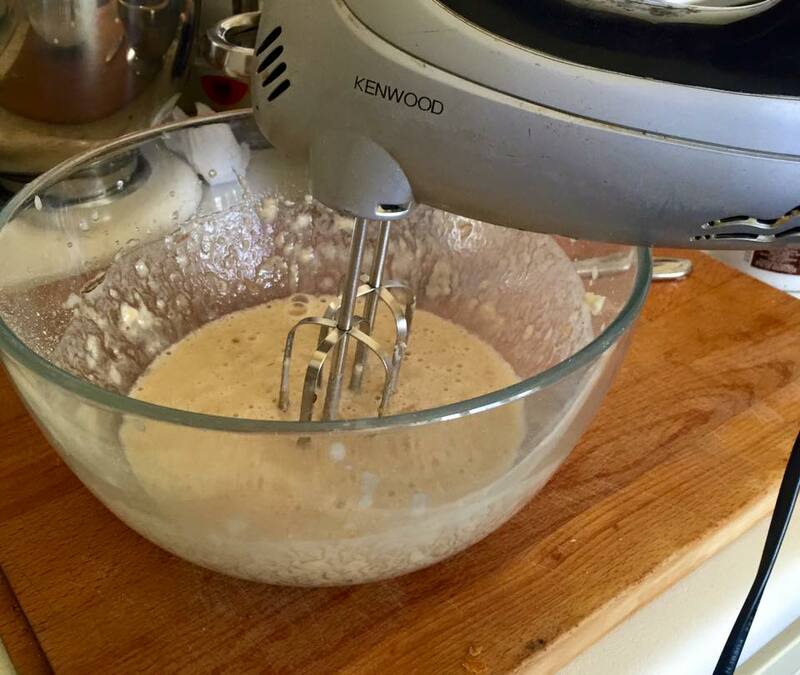 If you have an electric hand mixer then whisk until the mixture is smooth. This can also be done with a normal whisk, but you may want to ensure that the bananas are already mashed or cut into very small pieces before this stage. 3. Heat the coconut oil in a medium-sized frying pan. 4. Meanwhile, wash and cut the fruit you’re using as a topping. 5. When the oil is hot, pour the mixture into the frying pan. 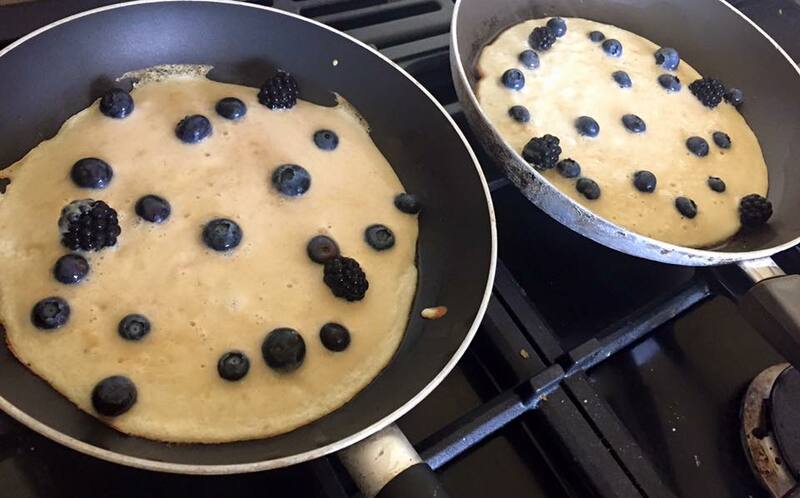 If, like me, you like having your blueberries cooked into the mixture, then wait 5-10 seconds after pouring the batter in before sprinkling a few blueberries on to it. I’ve recently added blackberries at this stage, too. 6. 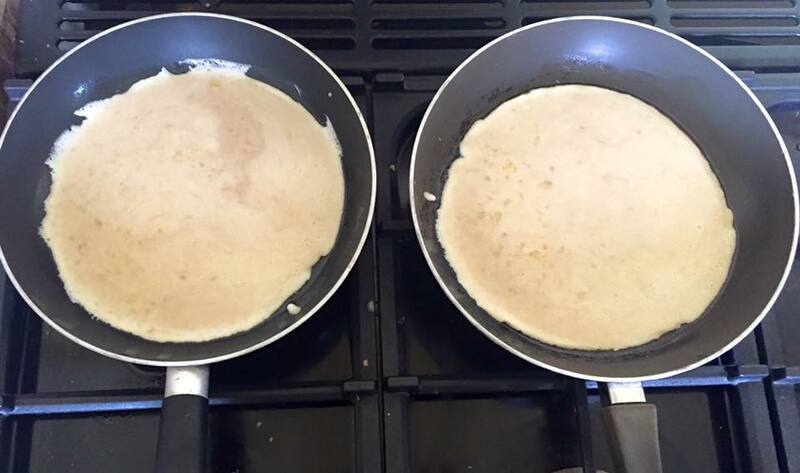 When the underside lifts easily from the pan, flip the pancake over. Dropping on the floor, optional. 7. Allow to cook on the other side. 8. When cooked, place on plate, sprinkle with the remaining fruit and honey. Reblogged this on Insurance Policy.